Anyone who has played or followed video games for any length of time knows that genres cycle in and out of style or popularity. There will be years where the scene is dominated by MMORPGs or real-time strategy games. Then out of nowhere, things will shift and it will seem like every new game has some sort of collectible card game element. Of course, games have a much longer development and release cycle than, say, music or even film, and the process of making a game is much less agile. Once deep into a project, it’s hard for developers to make abrupt conceptual changes. Open world survival games are very popular right now and it’s not hard to understand why, as they combine the freeform nature of a big RPG with the cooperative (or hostile) elements of an MMO, all while capitalizing on the Minecraft-like fun of making something out of nothing. Developers can craft a big playground, not be concerned with story, characters or quests, and let the players and "emergent gameplay" do the heavy lifting. Rust, DayZ, and ARK have been in release for a while now and have stable, loyal communities. 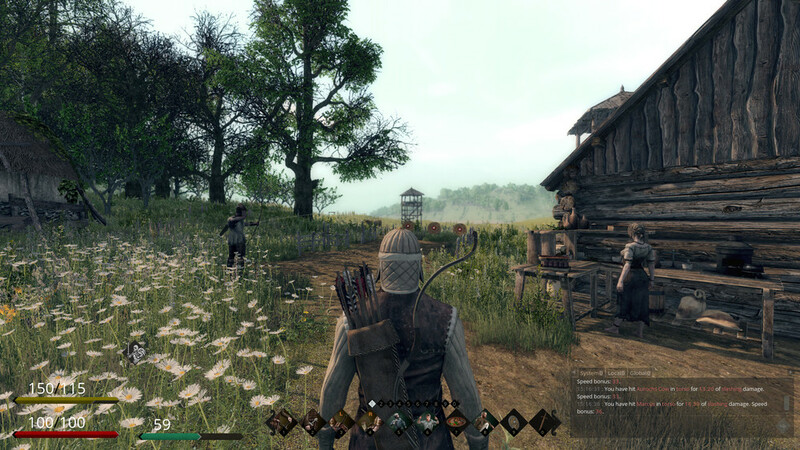 Life is Feudal isn’t a zombie or post-apocalyptic game, like those mentioned, but focuses on the crafting, weapons, and other elements of life almost a millennia ago. I mean, sort of. This is not a History Channel game. Liberties have been taken. The game begins by washing a player up on a deserted beach -- a pretty common trope in these games -- with nothing: no tools, no weapons, just a loincloth and, oddly, some “cookies” to eat, medieval Oreos as it were. From this moment on, the game is about survival, primitive crafting, basic defense, and a very long march towards establishing a stable community of like-minded and cooperative citizens (or joining an existing one), and/or waging war against other establishments and players. Unlike Minecraft, many of the sandbox survival games are set in relatively realistically rendered environments. In general, and on a high-end PC, Life is Feudal looks very good, with an effective day and night cycle and weather effects. Its island is a large land mass with a wide variety of biomes and terrain and a sparsely realistic population of wildlife. Of course, interacting with the world is largely a matter of doing an “action” and watching abstract numbers tick up or items drop into the inventory. Just about every one of those actions, from scraping bark off a tree to pulling up plants, raises one skill or another, be it forestry or botany, fishing or mining. The wrinkle this time is that you can’t maximize all skills. At some point, the game forces you to become a specialist, for the good of the order, one supposes. Life is Feudal, after all, is best experienced when the player is part of a community. 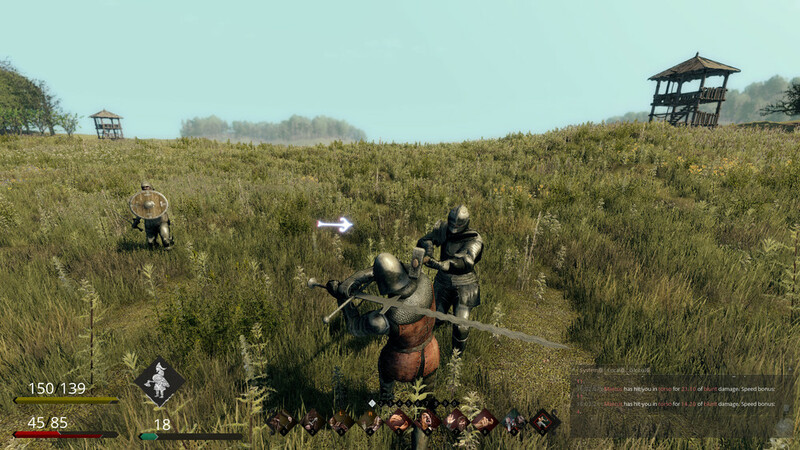 In general, and in contrast to many sandbox survival games, the multiplayer aspect of Life is Feudal skews at least slightly towards the positive, largely because the developers anticipated issues with players killing other players and integrated a karma mechanic that punishes them. It still happens a lot -- players attack other players, steal their hard-earned stuff -- but at the cost of their own skill points. Be warned though, for every helpful fellow player there’s another who is just there to mess with your fun. This is the way of the genre. Without the support of other players, sussing out Life is Feudal is a an opaque and time-consuming experience. There is a bit of opening narrative that sets your story in motion, and tool tips that try to help you through the opening hours, but there’s a lot to learn that’s not in tutorials. The game has been around long enough that there are plenty of helpful YouTubes and wikis that can supplement whatever instruction the game leaves out. Forest Village has itself continued to evolve from early access to full release and it will be interesting to see how the mod community adds content and shapes the game.